Get your ballot in the mail today! Retirees have not always had the right to elect our director. Please honor those who worked so hard to get us that right by casting your ballot. Democracy only works if you participate. If you haven’t received your ballot request a duplicate. Use Express mail if you have to, but get your vote counted. And vote for the most qualifies candidate with the proven track record. 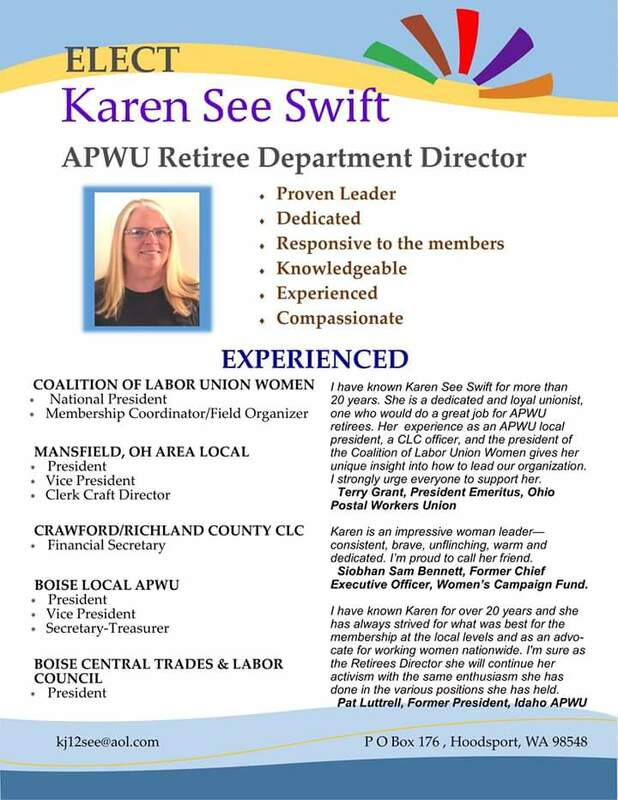 This entry was posted in Retiree Business, User Submitted and tagged APWU retirees, Ballots, Candidate for Retirees Department Director, get out the vote, GOTV, Karen Waterman-See-Swift, union democracy. Bookmark the permalink.